EMEC - The Annual Emergency Medicine Educators Conference - Book your ticket today! Don't miss out! Limited number of tickets available! The Annual Emergency Medicine Educators Conference. EMEC 2019 will take place at The Studio, Birmingham. - Do you have to teach when time is short? - Do you teach in an unpredictable environment? - Do you want to deliver outstanding education for your students and colleagues? - Are you looking for the best value-for-money, emergency medicine one day conference.. EVER? ​If you have answered YES, then you should join us for The EMEC 2019. ​Following the incredible success of previous years, we’re keeping the same exciting venue and we have a programme full of education, networking, entertainment and teaching ideas that you can take away and use on your next shift. Last year, our workshops and presentations were led by some of the UK’s most enthusiastic Emergency Medicine Educators and we are working hard to ensure EMEC 2019 will be even better. We’ve got more workshop options and presentations, all jam packed into the best value for money, 1 day educational conference... EVER. Tickets are available now! Book now to avoid disappointment. Follow us on Twitter @the_emec to hear the lasted news. The EMEC continues to challenge conventional education and promote how education can be engaging and memorable and we’re continuing that theme into 2019. ​EDU WARS will be making a comeback with YOU competing for international fame as a superstar educator and we want to hear about great educational ideas from your departments through your poster submissions and infographics. 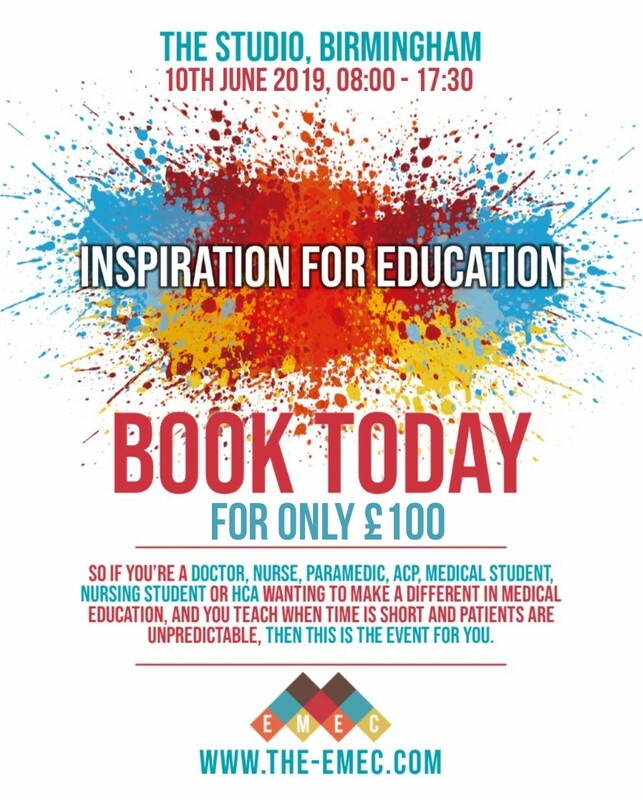 So if you’re a doctor, nurse, paramedic, ACP, medical student, nursing student or HCA wanting to make a difference in medical education and you teach when time is short and patients are unpredictable, then this is the event for you. Come and be part of something exciting and help to develop the Emergency Medicine education community. You can also follow us on Twitter @the_emec and subscribe to our blog to find out the latest conference developments or watch the videos from previous years. What Our ATTENDEES Are Saying! 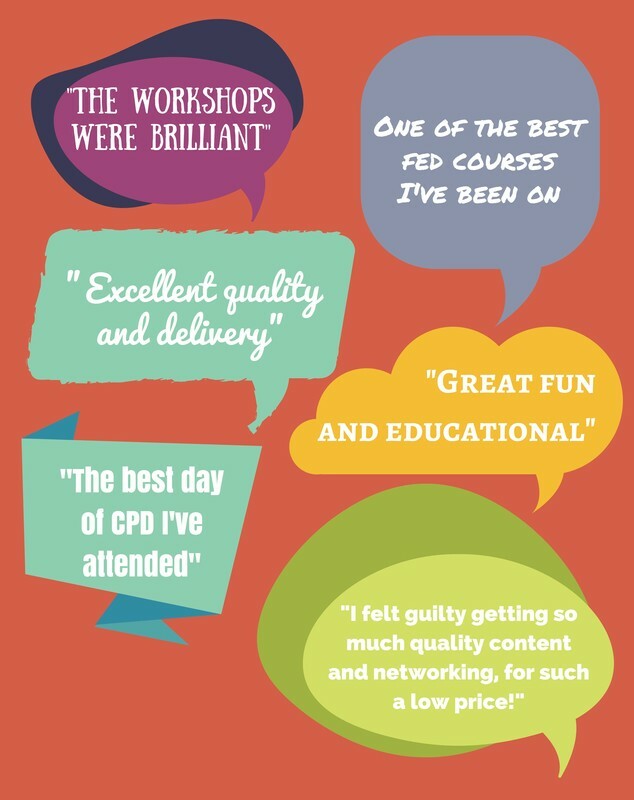 "EMEC was absolutely fantastic this year, I really enjoyed EDU WARS and cannot recommend this conference enough. I don't think you can get better value." "My first day conference where I laughed and was entertained from start to finish. We need more emergency medicine conferences like this!!"